The space has an ambience where you can play chess, read a book or maybe even write one, sit around the large gathering table and exchange stories with others, or sit peacefully in solitude. The furniture is organic, antique and very relaxing. 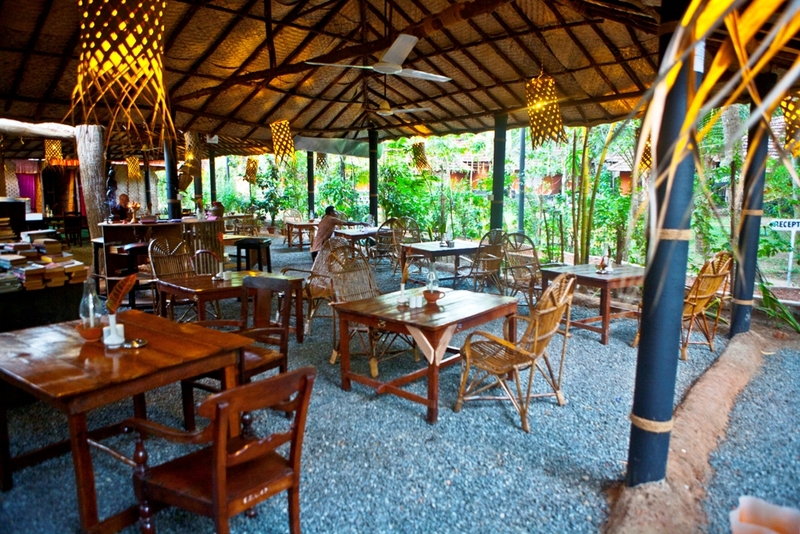 There is free wifi and vast space to sit and write, relax, work, study and inter-act with the community of other international guests who are residing in our Village. A great many friendships have started from this space. 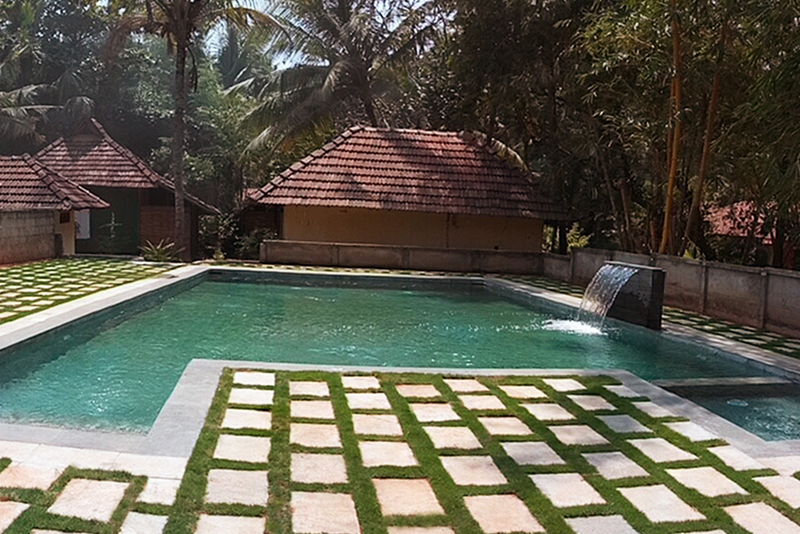 The Bohemian Masala has a luxurious leisure swimming pool to swim, splash or do nothing but relax! Families and children will find great comfort in the safe open surroundings and garden. Single travelers also feel at peace here. Couples can unite in the tropical romantic atmosphere. It’s the ideal space away from the hot noon sun. Gentle music fills the background and you can watch the day flow away, enjoy the atmosphere of peace and nature surrounding you. Let the gentle nothingness be what you surrender to. 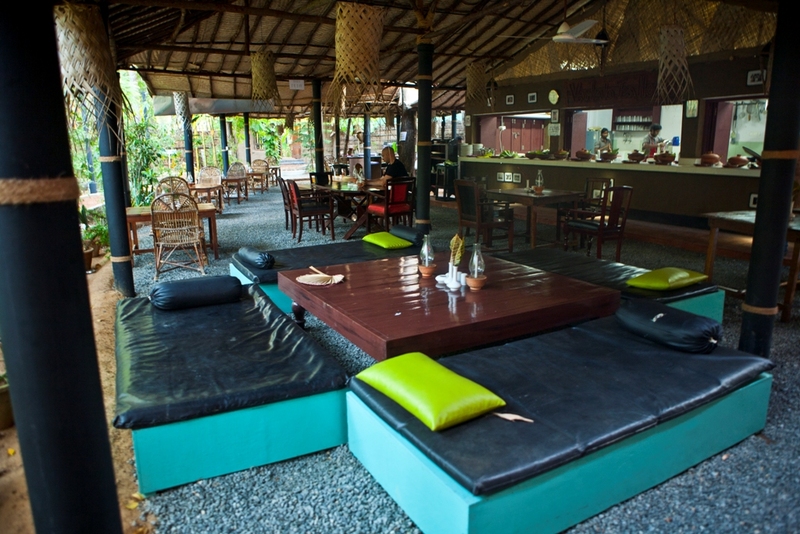 The garden and café has trees, hammocks, lounge beds, chairs and there is a fireplace to sit around in the evening. You can do nothing else but relax here.